As the European Parliament prepares to vote on whether to restore the 1998 ban on electric fishing or to authorise its wide use throughout Europe, a group of NGOs and fisherman organizations have sent a joint letter to the European Commission revealing a compromising document, which questions the morality of its 2006 proposal to lift the ban on electric fishing. [i] The letter reveals that expert scientific advice to the Commission was blatantly ignored and requests that the European Commission immediately withdraw all provisions concerning electric fishing from its legislative proposal on the Technical Measures Regulation,[ii] which will be voted on by the European Parliament on January 16th, 2018. Electric fishing consists of equipping trawl fishing nets with electrodes. When they are dragged along the seabed, an electrical current sends shocks into the sediment that cause a muscular convulsion in fish, forcing them out of the sand and into the fishing net. This indiscriminate fishing method enables the fishing industry to catch fish more easily, and to save on fuel, but at the cost of huge destruction to marine ecosystems, and to small-scale fisheries. In December 2006, the European Commission proposed to grant derogations allowing Member States to practice electric fishing, despite the 1998 prohibition on using destructive fishing methods such as fishing with explosives, poison or electric current. The EU Council immediately adopted the Commission’s proposal. [iii] The resulting Regulation[iv] justified this decision by referring to supposedly favourable scientific advice. [v] In this case, the scientific justification was of particular importance because the EU institutions were preparing to break their own law by lifting a ban. Electric fishing is widely recognized as destructive and has already been banned in most fishing nations throughout the world, including China. With no precise reference, locating the scientific advice among thousands of pages of scientific reports was virtually impossible, but BLOOM eventually found the document: a STECF (Scientific, Technical and Economic Committee for Fisheries) Report from 6–10 November 2006. [vi] Contrary to the December 2006 European Regulation, which considers that “fishing with beam trawl using electrical pulse current should be allowed“, the scientific advice dated one month earlier warns against “a number of issues that need to be resolved before any derogation can be granted“. [vii] Thus, not only did the scientific body of the European Commission never approve such derogations, but it even explicitly advised the European Commission against granting any. Under the pressure of Dutch fishing lobbies, the European Commission decided not only to ignore its own committee of experts but also to falsely claim scientific guidance in support of its decision to revoke the ban on electric fishing. This move and the Council decision to adopt the Commission’s proposal constitute a political scandal and a direct violation of the Code of Conduct for Commissioners[viii] which states that “The Members of the Commission must indeed discharge their duties in the general interest of the Union, without seeking nor taking instructions from any government or from any other body”. Whether it is the Commissioner or the Commission’s services that are responsible for this proposal and subsequent proposals to grant derogations is irrelevant: the Commission needs to act urgently to fix the problems it has thusly created. The 2006 Commission and Council decision also has very serious financial implications. By giving a hitherto prohibited and destructive fishing method the status of “experimental”[xi] and “innovative”[xii] fishing, the Dutch industrial lobbies have been able to claim millions of euros of public money to equip their beam trawl fleet with electrodes. A simple semantic shift has allowed massive public funding for one of the least-sustainable fishing methods. As things stand, the scale of the financial scandal cannot be fully grasped because the Netherlands fails to publish the file of public subsidies allocated from 2007 to 2014,[xiii] making it impossible to calculate the total subsidies granted to electric fishing since the introduction of derogations. However, BLOOM has managed to estimate the subsidies allocated since August 2015. In just over two years, at least 5.7 million euros of public subsidies have been allocated for the development of industrial electric fishing fleets in the Netherlands, of which 3.8 million euros come from European funds (67% of the total). [xiv] These public subsidies have been allocated under the titles of “research”, “innovation” and “best practices”. Also missing is an answer from the European Commission to the complaint that BLOOM filed against the Netherlands about the illegal allocation of licences by Dutch authorities (much higher than regulatory thresholds). How are Members of the European Parliament supposed to decide on a dossier when crucial elements are not disclosed by European institutions? In every aspect, electric fishing shames Europe. On the basis of these revelations, the undersigned organizations sent a formal letter to the European Commission calling the December 2006 decision to lift the ban on electric fishing in Europe “arbitrary, harmful and illegitimate”. They ask the European Commission to expeditiously withdraw all provisions relative to electric ‘pulse’ fishing from its legislative proposal on the “Technical Measures” Regulation, which was addressed to the European Parliament and Council. Today, the Commission does not have to stand by a past, unacceptable and immoral arbitration. Removing all references to electric fishing in its legislative proposal is the only way to give credibility to European institutions and to implement the objectives of the Common Fisheries Policy and the United Nations Sustainable Development Goals, to which the European Union has fully subscribed. The European Commission has a duty to repair the problems it has created. To understand the detailed construction of European law on electric fishing, read this page. BLOOM’s European petition asking MEPs to definitively ban electric fishing in Europe. BLOOM, End Ecocide on Earth, the Irish Wildlife Trust, Blue Marine Foundation, the Community of Arran Seabed Trust (COAST), the Black Fish, Our Fish, Notre Affaire à Tous, Low Impact Fishers of Europe (LIFE), Gillnet Fishers of the North of France, Thanet Fishermen, Queenbourgh Fishermen, Leigh and Southend Fishermen, Mersea Island Fishermen, Lowestoft Fish Market Alliance, Irish Islands Marine Resource Organisation (IIMRO), Plateforme Petite Pêche Artisanale Française, Fishermen United. [i] Electric fishing has been banned in Europe since 1998 by Article 31 of Council regulation (EC) No 850/98. [ii] On 11 March 2016, the European Commission released its legislative proposal to reform the Technical Measures Regulation (COM(2016) 134 final). [iv] Council Regulation (EC) No 41/2007. [v] “In the light of advice from STECF, fishing with beam trawl using electrical pulse current should be allowed in ICES zones IVc and IVb south under certain conditions” (Council Regulation (EC) No 41/2007). The STECF (Scientific, Technical and Economic Committee for Fisheries) is the scientific body of the European Commission that is supposed to help the latter implementing the Common Fisheries Policy (CFP) of the EU. [vii] The STECF concludes that “although the development of this technology should not be halted, there are a number of issues that need to be resolved before any derogation can be granted” (page 59, STECF 2006). Noteworthy, a Dutch researcher was an active relay of the demands of the Dutch industrial lobbies within the STECF. The minutes of the meetings show the zeal of the latter in favour of electric trawls: “[He] disagreed with the recommendation made to limit the use of electro-trawls to one vessel. He also asked for a list of topics to address in further work and a definition of the conditions under which a positive recommendation for introducing the technology in the beam trawl fleet might be made” (2006 report of the ICES-FAO working group on fishing technology and fish (WGFTFB), CM 2006 / FTC: 06, page 7). This intense lobbying probably explains the incongruous mention in the official opinion of the STECF, which says that: “the development of this technology [electric fishing] should not be halted“. [ix] Kelleher (2005) Discards in the world’s marine fisheries: an update. Fisheries Technical Paper 470, Food and Agriculture Organization of the United Nations (FAO), Rome (Italy). 152 p.
[x] See Cappell et al. 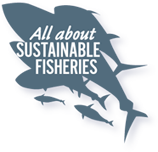 (2016) MSC sustainable fisheries certification — Off-site surveillance visit — CVO pulse sole and plaice fishery — Public comment draft report. Acoura Marine Ltd, Edinburgh (UK). 261 p. Also see Baarseen et al. (2015) Verkenning economic impact aanlandplicht op Nederlandse kottervloot. Flynth & LEI Wageningen UR. 69 p.
[xi] While 22 derogations were granted at the end of 2006, Dutch fishers secured 20 additional licenses in 2010 via the Council, specifically under the guise of scientific research (using Article 43 of Council Regulation (EC) No 850/98). [xii] Due to a strong demand by the Dutch and thanks to the help of Commissioner Damanaki, 42 additional licenses were granted again in 2014 as part of a pilot project to reduce bycatch/discards (using Article 14 of Regulation (EU) No 1380/2013). For more details, see Kraan et al. (2015) Perceptions of European stakeholders of pulse fishing. Report number C098/15, IMARES Wageningen UR, IJmuiden (The Netherlands). 44 p. See page 7. [xiii] Under the “European Fisheries Fund” (EFF).